Love is in the air! Come mid-February romantic dinners, valentine cards, candy hearts, and chocolates may be foremost on our minds. Valentine’s Day is a day to celebrate with hearts and flowers and, as February is designated American Heart Health Month, it may also be a time to reassess one’s heart health. Cardiovascular disease remains the leading cause of mortality for both men and women in the United States. Reducing the risks of developing cardiovascular disease begins with awareness. Knowing your risk factors, along with the early warning signs of heart disease, is the first step toward prevention. Although symptoms that include chest discomfort, nausea, exhaustion, and irregular heartbeat, as well as pain in the upper extremities and swelling in the lower extremities, are not always recognizable as life threatening, they should never be ignored. Per the Centers for Disease Control and Prevention (CDC) half of all Americans have at least one of the three key risk factors for heart disease—high blood pressure, high cholesterol and smoking. Although not all risk factors, including age, gender and family history, are controllable, steps can be taken to modify the risk factors relating to poor lifestyle habits. Useful strategies that support overall health, as well as prevent heart disease, include a healthy diet, exercise, and sufficient sleep. Taking these preventative steps will help to control stress, support healthier blood pressure and assist healthy weight maintenance. Tackling modifiable risk factors can have a positive impact on prevention, while everyday healthy choices can improve and support long-term health and longevity. Age – While most who have fatal heart attacks are over age 65, heart disease can occur at any age. The risk is higher for women over age 55 and men over age 45. Establishing healthy lifestyle habits early in life can improve your heart disease risk later in life. Gender – Although women tend to develop heart disease 10 years later than men, men and women are equally at risk. Heredity – Family history increases the risk of the disease, especially when a parent or sibling develops heart disease at a young age. Your risk is higher if your father or brother had heart disease before age 55, or your mother or sister had heart disease before age 65. Unhealthy Diet vs Nutritious Diet – A varied and nutritious largely plant-based diet feeds overall health, while a poor diet, high in sodium and unhealthy fats, is linked to high blood pressure, heart disease and atherosclerosis. Adopting a diet low in sodium and high in healthy fats, such as the Mediterranean or DASH diets, can lead to improved overall health. Per the American Heart Association, people who consume breakfast on a regular basis have a lower risk of cardiovascular disease. Studies show that the body can better metabolize food earlier in the day, which may help lower risk factors for obesity, high blood pressure and high cholesterol. Smoking vs Not Smoking – Smoking is considered the leading cause of preventable death in the U.S. Smokers are twice as likely to suffer a heart attack than non-smokers, and those attacks are more likely to be fatal. When combined with other risk factors, the risk of cardiovascular disease is greatly increased. Smoking produces a greater relative risk for those under age 50. Chronic Stress vs Stress Response Control – Chronic Stress has a major impact on mental and physical health. Stress is linked to an increased risk of heart disease, as well as anxiety, depression, weight gain, sleep problems, digestive issues and memory impairment. Recognizing your personal stressors can help you avoid them, while connecting with friends and family can help you cope with personal trials. Regular exercise has long term stress-relieving benefits, but even a 20-minute walk can reduce stress for the next few hours. Excessive Alcohol vs Moderate Consumption – While a moderate amount of alcohol consumption–one drink per day for women and two drinks daily for men–is considered cardioprotective, higher amounts increase the risk for heart disease and stroke. Binge drinking is particularly dangerous, as having six drinks or more in one sitting is associated with a 30 percent higher risk of cardiovascular events during the following 24 hours. Hypertension vs Normal Blood Pressure – High blood pressure increases the risk of heart attack as well as stoke and kidney damage. When combined with other risk factors, such as obesity, smoking or diabetes, the risk increases several fold. As high blood pressure often has no symptoms, a blood pressure reading can determine any necessary treatment. High Cholesterol vs Normal Cholesterol – Although some argue that dietary cholesterol does not raise cholesterol levels, high LDL cholesterol levels can lead to a narrowing of the arteries including those of the heart. High levels of HDL cholesterol are considered cardioprotective. Diabetes vs Healthy Blood Sugar – High blood sugar associated with diabetes increases fatal heart disease by two to four times, compared to those who have normal blood sugar. Diabetes type 2 can be prevented or delayed by following a healthy diet, getting regular physical activity and prioritizing weight loss, when needed. Obesity vs Healthy Weight – Even with no other risk factors, those who are overweight or obese have a higher risk for developing heart disease. Excess weight puts strain on the heart and body and can negatively influence blood pressure, cholesterol and blood lipids. Sedentary Lifestyle vs Regular Physical Activity – A sedentary lifestyle contributes to increased risk, while just a small amount of moderate intensity daily exercise can help to lower blood pressure, maintain a healthy weight, and prevent diabetes. HeartCare® by Himalaya Herbal Healthcare – HeartCare® provides beneficial support for the cardiovascular system, peripheral circulation and cholesterol levels already within the normal range. This all-in-one proprietary blend provides clinically documented adaptogenic herbs that tonify the adrenal glands to reduce the impact of stress, support calmness and promote tranquility. Gluten, soy and dairy free, Non-GMO vegetarian formulation. Healthy Heart® by Priority One – Designed to promote energy production in heart muscle cells, this synergistic blend of balanced nutrients provides CoQ10, hawthorne berries, selenium and chondroitin sulfate in support of a healthy cardiovascular system. Vegetarian formulation. Taurine 1000 mg by Vital Nutrients – As the most abundant amino acid in the heart, taurine helps to support healthy cardiac rhythm, contractions, and platelet aggregation levels in support of cardiac performance. Gluten, dairy and soy free formulation. L-Carnitine by Pure Encapsulations – This product provides highly stabilized L-carnitine in support of healthy enzyme activity, cardiovascular energy, enhanced exercise recovery and maintenance of healthy lipid metabolism. Gluten and soy free, Non-GMO vegetarian formulation. Cardiotone by Professional Botanicals – This proprietary blend is designed to support healthy heart, immune and cardiovascular functions. Specific ingredients support energy production, increased heart muscle strength, and normal blood pressure. Gluten free, Non-GMO formulation. Just as Dorothy always held the power to return home to Kansas, the key to the Fountain of Youth is, and has always been, right there beside you. You won’t need a wizard, a good witch and sparkly red shoes, but you will need a good pair of sneakers. 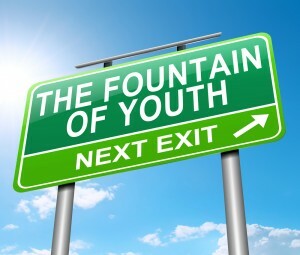 The secret to a youthful life is…….exercise! According to a study at Washington University School of Medicine in St. Louis, older people who engage in endurance exercise training receive the benefit of a metabolically younger heart. The study showed that participants who took part in exercise training that involved walking, running, or cycling doubled their glucose uptake during the high energy demand, just as younger hearts do. Low glucose uptake during increased energy needs can raise the risk of heart attack and put the heart in an energy-deprived state. When glucose uptake is increased, the heart is better protected against ischemia and heart attacks. In other words, the study showed that these formerly sedentary older adults had major improvements in heart health after 11 months of exercising three to five times per week. Physical activity can improve the quality of life and slow the consequences of aging on the cardiovascular system. People who exercise regularly live longer and healthier lives than those who don’t. Physical exercise has a very positive effect on the severity of many cardiovascular disease risk factors including hypertension, diabetes, high cholesterol and obesity. Exercise increases blood flow which in turn lowers blood pressure and helps to prevent plaque buildup in veins and arteries, further reducing the risk of heart attack and stroke. As blood flow increases and lungs become better conditioned, more oxygen and nutrients are pumped throughout your body to cells, organs and tissues. 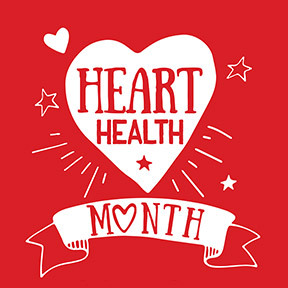 The American Heart Association has set a goal to improve by 20% the heart health of all Americans by the year 2020 through behavior modification and tackling unhealthy lifestyle habits. Many Americans are in poor heart health based on seven factors: diet, exercise, smoking, weight, blood pressure, cholesterol and blood sugar. Exercise alone can improve many of these risk factors and is one of the least expensive, safest ways to prevent chronic disease that can take years off your life span. Regular moderate intensity exercise helps to maintain healthy glucose and insulin levels and reduces the risk of insulin resistance, an underlying factor of many chronic diseases. People who maintain an active lifestyle have a 45% lower chance of developing heart disease than their sedentary peers. Physical activity and a healthy diet offer the greatest amount of heart protection. Even when you pay close attention to your diet, without exercise you are still at risk for heart disease. Studies suggest that it is not the duration of a single exercise session that reduces risk factors. What counts is the total weekly amount of energy expended. In other words, any and all exercise is better than none as every minute actively spent helps to strengthen your heart. Think of exercise in terms of every day activity. The more you move, the better your fitness. The many benefits include improved circulation, reduced inflammation, weight loss, flexible blood vessels, reduced stress, better sleep, improved cholesterol levels, increased energy, a fitter, firmer body, the release of endorphins, the feel good hormones, and healthy, successful, and youthful aging. Healthy Heart by Priority One – This unique formula contains minerals, herbs and nutrients known to support cardiovascular health. Mega 10 by Metagenics – This powerful combination of purified omega-7 and omega-3 fatty acids provide targeted, enhanced support for overall cardiovascular health. D -5000 by Thorne Research – This pure vitamin D supplement supports cardiovascular, immune and bone health.